WBTV announced today that Chella Man is joining the cast of the DC Universe series in the recurring role of Joseph Wilson. For those who aren’t up on their Teen Titans or Deathstroke lore, Joseph is the son of Slade Wilson AKA Deathstroke, the merciless one-eyed assassin who will be played by Esai Morales in Titans’ eagerly awaited sophomore season. While Slade is almost always a villain when it comes to the Teen Titans, Joseph has historically been a bit more heroic. Operating under the name of Jericho, he was a member of the Titans during Marv Wolfman and George Perez’s historic NEW TEEN TITANS run. It sounds like he may be a member of the team on the show as well, judging from its official character description: Son of the infamous DC villain Deathstroke (played by Esai Morales), Joseph Wilson is the Titan known as Jericho. Mute after his father failed to rescue him from having his vocal cords severed by assassins, Jericho has the unique ability to possess anyone just by making eye contact. This gentle natured yet proud hero has proven himself a formidable Titan. As the description references, Jericho is one of a very small number of mute superheroes, communicating first through sign language and currently through a high-tech subvocal microphone in the ongoing DEATHSTROKE comic book series. 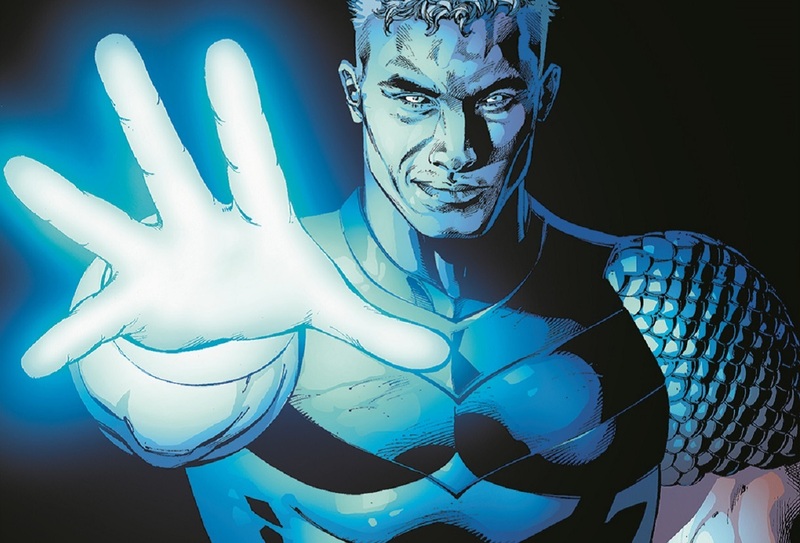 Frequently at odds with his father, Joseph has had a rocky comic book existence, having been corrupted, killed and reborn prior to the launch of the New 52 in 2011. While he began as one of the Titans’ teammates in the 1980s, he has served as a villain at times and was once possessed by the souls of Azarath and the essence of Raven’s demonic father, Trigon. In current continuity, Jericho is not a member of the Titans or Teen Titans, but has returned to being a largely heroic character. He’s also bisexual, which, if maintained on the DC Universe series, would make him the first LGBTQ+ character on the team. Whether that happens or not, the role certainly brings some increased diversity to the cast of the show. Chella is Asian, deaf and trans, and pretty new to the world of acting (he doesn’t yet have an IMDb page). He does have a pretty big YouTube presence, however, with over 173k subscribers and 2.5 million views on his page. Pretty big news coming right on the heels of last week’s Deathstroke casting! What do you think of it? Are you excited to see Jericho join the team? Would you like to see the rest of Slade Wilson’s family added to the cast? Let us know what you think on Twitter and Facebook, and as always, keep your eye on DCComics.com for more Titans and DCTV news as it breaks.